open the "context menu" (Image-1). Then you can see the "Personalize-Window" (Image-2) on your Windows-7 Desktop, to select one of the Aero-Themes. To disable (deactivate) the Aero in Win-7, please select "Windows-Classic" or "Windows-Basis" Theme. Windows comes with several themes. You can choose an Aero theme to personalize your computer, the Windows 7 Basic theme if your computer is performing slowly, or a High Contrast theme to make the items on your screen easier to see. Windows-7 - FAQ-42: How to enable Aero in Windows 7? Enabling aero themes and screen saver in windows? 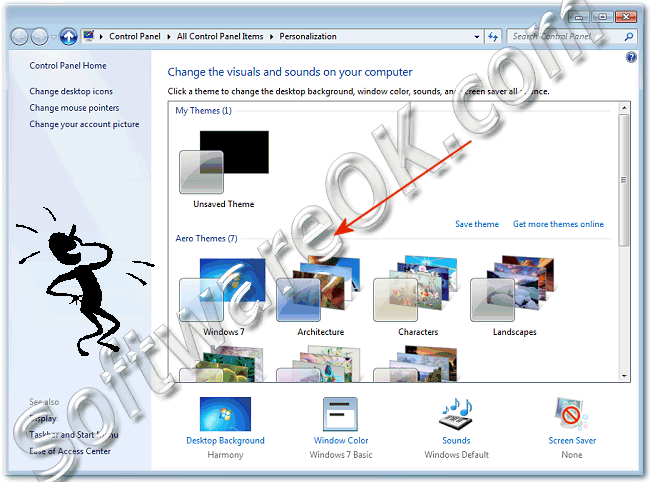 How to disable or deactivate the Aero in Windows 7? How to enable task manager aero windows 7? How to enable aero in win 7 premium? How can I enable or disable the Windows 7 Aero? Enable aero in windows 7? 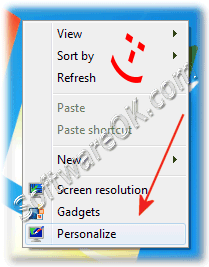 How to activate windows 7 aero?